Olympics to ban social network photos? Amateur Photographer (AP) is investigating whether visitors to this summeru2019s Olympics will be banned from posting photos onto social networking websites. Amateur Photographer (AP) is investigating whether visitors to this summer?s Olympics will be banned from posting photos onto social networking websites. Photographer Peter Ruck contacted AP saying that Olympic organising committee Locog plans to ban the posting of images on social networking websites such as Facebook and Twitter. 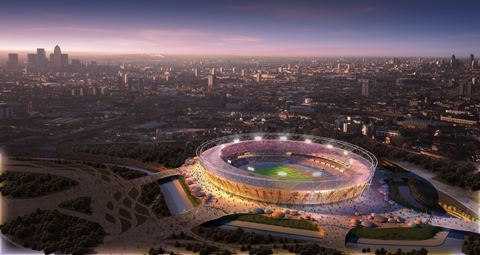 Conditions of entry for Olympic ticket holders suggest that rules for such restrictions may have already been decided. The London 2012 conditions state: ?Images, video and sound recordings of the Games taken by a Ticket Holder cannot be used for any purpose other than for private and domestic purposes and a Ticket Holder may not license, broadcast or publish video and/or sound recordings, including on social networking websites and the internet more generally, and may not exploit images, video and/or sound recordings for commercial purposes under any circumstances, whether on the internet or otherwise, or make them available to third parties for commercial purposes.? Ruck, a semi-retired freelance, blasted the rules as unenforceable. He said there will be a ‘million and one’ people taking photos and video, whether by camera or mobile camera phone. It is unclear whether social network still image postings class as ?private? use. A Locog spokesman had yet to respond to AP?s urgent request for comment at the time of writing. By agreeing to the conditions of entry, spectators automatically grant Olympic organisers the right to broadcast, publish and license any images taken of them watching the sports action.